Conversion Rate is the ratio of meaningful actions out of total number of actions. Here are some well-proven statistics on conversion rate optimization. 63% of marketers optimize websites based on intuition and best practices to increase conversions. 75% of the internet retailing top 500 use an A/B testing platform to optimize conversion rate. Why Conversion Rate Optimization is the talk of every day? More than 70% of the inquiries I receive asks me for Conversion Rate Optimization Tips. Every business owner or marketer always thrive for increasing their conversion rate. Conversion rate typically range from 1 to 3 percent. It means remaining 97% of the total visitors do not even go to the next step of your goal sheet or conversion funnel. The biggest challenge for a website designer is to design a website that converts more. Your website design should attract many visitors to take actions on your message. This post is for you if you have the same challenge with your website conversions. I will like to talk about my experience on How to improve your website for more and more sales. Recently we got a client who has a strong business model and a decent website. The website is updated with informative content published at least once a week. It results in good traffic to the site. Yet, the site was hardly able to generate revenue in accordance to the visits it was getting. I with the help of our innovative Business Labs, I was able to find a solution. We (me and the client) named it Mission – Conversion Rate Optimization. Business goals are much more dependent on conversions. When your website is driving good traffic and still not being able to convert users. This is an alarm which needs your attention. You must learn it well – what is conversion rate optimization from the Wikipedia’s article. Here is conversion rate optimization – you customize a website so that conversion rate increases. Conversion rate optimization is an act of converting website visitors into loyal followers. Further, followers into test users, than to paid customers. It was the case with my latest experience with the client with an IT based product (SaaS) structure. The conversion cycle is less complex with products without subscription pay model. When you have something like an IT product with subscription model, it is more complex. You need to increase readership if you have a blog, or you keep articles posted with latest updates. Here your conversion get benchmarked against Subscribers for your newsletter. Further, you can optimize for Subscriber turning into paid customer. You must also Read: Conversion Rate: What Do You Mean by this Term? Since early 2015, I am working with a client who already has a base of 400+ yearly customers. About 1.4 transactions on average per customer for the complete calendar year. Converting campaign visitors to paid customers. Optimizing results for repeat purchases. Maximizing conversion results for more free product consumption from the existing paid customer base. Throughout the process we learnt – first half is about enhancing the user experience. Enhancing the user experience means how your visitor feels when accessing your website. You can achieve it by establishing a strong connection with your customer. Poor User Experience will lower your conversion rate. Whereas, an awesome user experience can increase your conversion rate. A well-optimized website induces the visitor to complete the action. Your website should have a seamless connect with the customer so much that the user takes an action on site. Everything is important. Your landing page, product or services page, tools, images and even your content. Ginny Soskey from HubSpot, explains the 3 Biggest ways to optimize conversions. i.e. Segmentation, Design and Content. Try to make your visitors head over heels in love with your website. Think of what: How you can do that and what values you can give to your guests. Plan for making your site so appealing, full of features that the guests feel ease in navigation. How do we do all this? While reading this post, I am sure this is your next question. So, today in this post we will discuss 6 Tips on how to increase conversion rate. Here we go! If a website designed but gives frustrating experience to the user, it will do more harm than good. 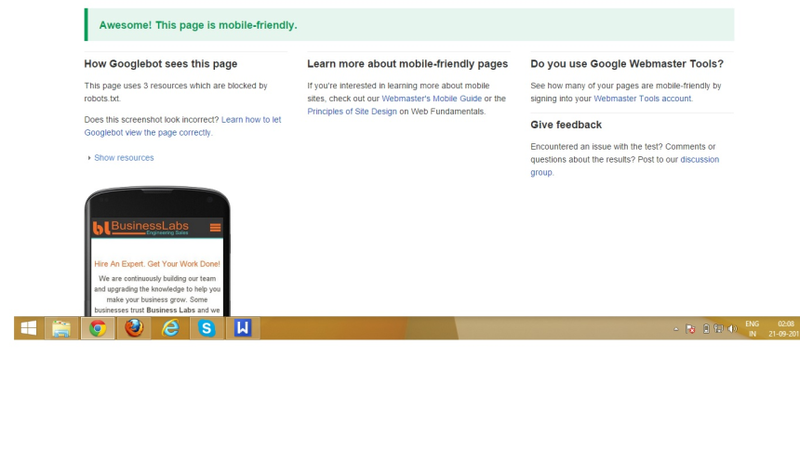 In this website, businesslabs.org we have about 35% of mobile users accessing the site. I observed my behavior when it came to making Google searches for my needs or accessing the known sites. I am more prone to buy decisions when I am at work. Since I am work, it is obvious that I am busy. To get my desired information within few seconds, I use the device that is more close to me. More than half of the day, I access Google or the known websites from my Mobile. Also, I use my MacBook or the desktop to access websites. It means the person who is capable of paying for my services or products, is a busy guy. It is obvious, my type of client is going to access my website from any device and any browsers. Hence, You should get your web design to be responsive. Your website should look all great when accessed from Desktop, Laptop, and mobile phones. It should induce the reader to take action on your website. Action includes a buy or a subscription. A website enhances brand image. Having a optimized website design is vital for a brand to survive these days. Creating a website just for the sake of it is not a solution. You must develop your website in a such a manner that the customer spend another minute there. Even sometimes the simplicity can be your big win secrets. Just check out Neil Patel’s personal website. With the help of a simple interface, he spread his knowledge about Content marketing and SEO. I like the way Neil’s personal site as well his site quick sprout is designed. It is designed to be responsive for all the screens. Web users today are faster and smarter than ever. We are particular with our needs. We will not waste a second searching the resource that would provide them what they need. Mobile is today’s trend. More and more online shopping giants are switching to mobile-based environment. There is a continuous increase in the number of smartphone users across the globe. So it has become essential for a website to be mobile-friendly. Google recently reworked the logo to give importance to its mobile-friendliness. So it is important that a website is appealing to the users and, so, it quickly adapts itself to any mobile device. Web pages should have a responsive web design. Website should look great not only in personal computers but also in other devices like mobile. 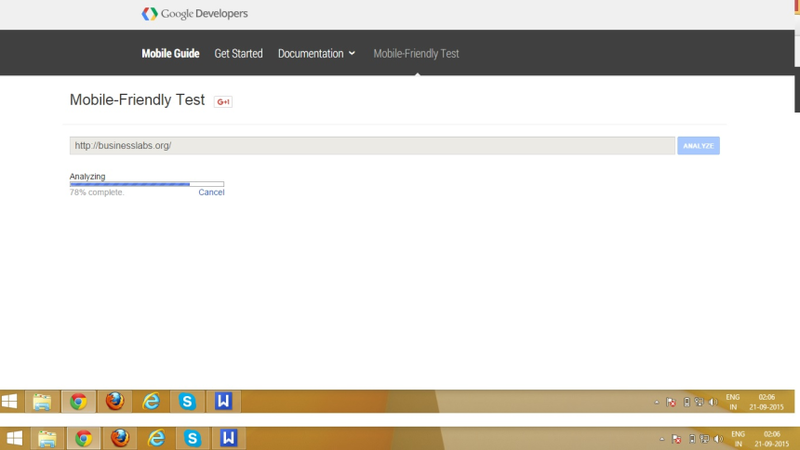 If you want to check how mobile-friendly your website is, see this – Mobile-Friendly Test. Type the URL of your site. This test will analyze your website from the URL entered. It will display a report if your web page has a mobile-friendly design. Check in action, when we tested businesslabs.org. Web designers at BusinessLabs can help you develop a mobile-friendly website for your brand. Check out our services here and take your first step towards success now! If you are a kind of a newbie or in search of a D-I-Y go for web design templates. If you want to kick start your online presence there are plenty of Web Design Templates available. Every visitor wants to have an enjoyable time on your website. User experience is critical to the success of a website. To enhance the user experience, make sure you opt for a web design template that is user-friendly. Your template should be simple in navigation. An user should not feel difficulty accessing any of the pages or sections in a website. I recommend Theme Forest and its affiliated networks for any web design template. They also offer variety of landing pages for HTMl as well as landing pages for your wordpress website. Reason being, it is a huge marketplace with true customer service or support guidelines. The visitor should not get confuse with the features and navigation on your website. There is no use of making unnecessary features and congested navigation. Your web designer must aim to design a website that connects your visitor well with your business. Give real focus to landing pages. If workable, create different or unique landing pages for different types of users. Be specific with your needs in your landing page design. On the landing page, make sure you do not have many types of call-to-action. It may confuse or rather irritate the visitor forcing him to click the back button. If the page is text heavy, you may want to repeat your call-to-action. Better, include it twice or thrice between the paragraphs. A well-written content enhances the visibility of a website and results in conversions. The content should relate to the target audience. Your audience must feels satisfied having visited your site. Content that establishes a connect with the visitors is more likely to have a higher conversion rate. A user will devote half a minute at the most to understand if the website serves his need. If he is not confident, if he will not waste a single second on your site. So be careful about putting the right content in the right manner. Content size has a significant role to play. Remember you are not writing a novel. No need to introduce characters, build a plot and narrate a story. You are a salesperson, and your website is a platform to do sales. You can check out this web design related article ‘using negative spaces in web design’. 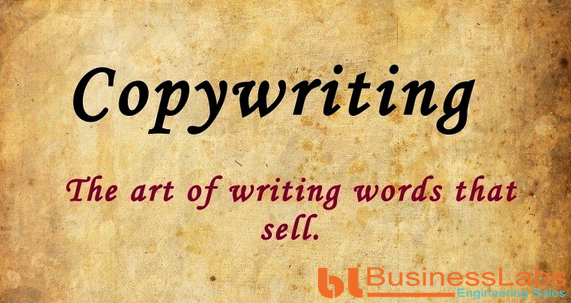 The copywriter is ‘Bhavna Shah – the design story women’. Don’t expect your buyer to know what you are all, what have your successes been. Your prospect is willing to learn how your product will serve his needs. What value can your provide him? So be crisp and hard-hitting. Product USP and benefits should come upfront and in simple language. Do not tell the customer what he will lose by not using the product. Instead, tell him what he will gain by using the product. Balance your content with appropriate pictures. People like it more when a website says “YOU will highly benefit from this” …rather than “WE will ensure you benefit” Isn’t it? Numerals attract more than texts. – which one appeals more? While writing headlines, make sure the only target is to grab attention. More is not always good – sometimes it is best to be little – to be mysterious – to be intriguing. Visitors are curious, and they like to tickling. They like to be on the edge while searching for what they want. It is just that it has to be in the right way. Once the reader has understood there’s something for him, he would find out what that ‘something’ is. Don’t overlook the importance of headlines. Headlines are the first direct contact between the visitor and the product of the site. Headlines works like wonder in increasing your conversion rate. A talented writer can do wonders for your site. If you want to learn from few good writers on my board till date, please feel free to write to me. I will try my best to help you. You can write me about your challenges here. When a visitor visits a web page, what makes him stay and browse through the website or go back? Well, it is his emotion that depends on how powerful a web page is. Colours used on a web page significantly affects the mind of a visitor because it hits the psychology. Colours have a great impact on customer’s response. Tell us: Don’t you think pink is more feminine and relates to the feeling of affection and romance? Moreover, black defines luxury and is for the affluent! Think of all expensive things and there will be a dash of black – I will give you one example: Black sedans. Well, they are more expensive than their white counterparts. What say? Please read this article: The Psychology of Color: How to Use Colors to Increase Conversion Rates. In this article, Neil Patel gives a thorough guide on how colours influence consumer design. There are certain colours makes people respond, and others will just force him to switch back. So choose colours for your web page carefully. Take your audience, business and branding into concern. 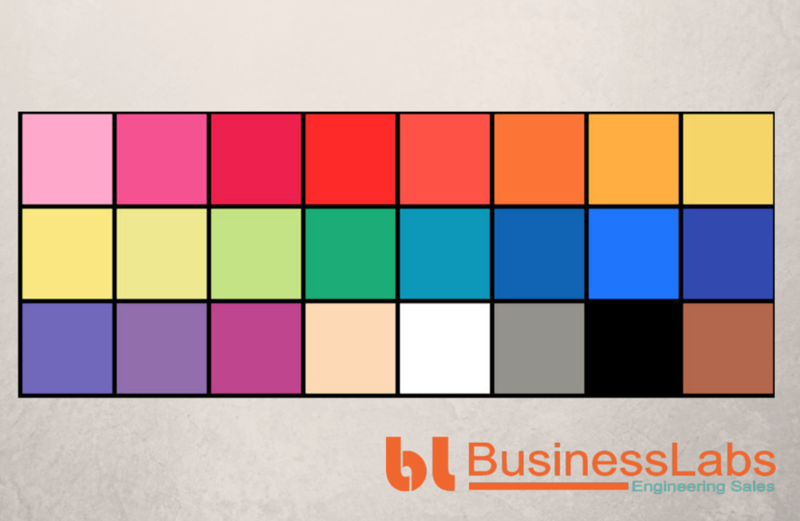 Select the best colours to drive results for your business. Your web page should be in sync with your brand colour. Ensure your logo has your brand colour – this helps visitors remember your name fast. Research some famous campaigns online. And you will see the brand colour rules the campaign. If your target audience is youth, you might consider using Yellow. For your call-to-action buttons prefer Red or Orange colour. These colours denotes a sense of urgency and dominance. There’re a couple of interesting case studies on which colour converts the best. You must go through them to get real insight on colour selection for your web page. For kids related products or services use bright colours. Examples: Red, Orange or Yellow rather than black or brown. Blue denotes trust. Consider using blue – that’s what greatest websites of prefer. See facebook, twitter, linkedin and there are many other businesses uses Blue. There’s no colour to as the best colour. All colours generate some reactions. As a web designer your strategy should be to apply the best colours at the best place. Loyalty is the result of conversions. Moreover, brands that give loyalty enjoys enhanced conversion rates. Loyalty affects the success of a website. Loyalty gives an adequate meaning to conversions – enticing consumers to stick to the brand. Everybody loves gifts, and the joy doubles when it is free! Plan free giveaways – you will reap benefits for a long time. A good giveaway will induce the visitors to subscribe to your emails. This positively works to translate visits to leads. A great giveaway option is bonus or discounts. Put this on a confirmation page. Your customers will love availing the bonus. They will spread the word to friends and relatives who may now become your next client! I am sure these 6 Conversion Rate Optimization Tips will help you in optimize your website. Start utilizing these ideas for your website. Start generating leads for the success of your online business. Your focus should always be to increase or optimizing your conversion rate. The Talent Clan of BusinessLabs are experts in their job. 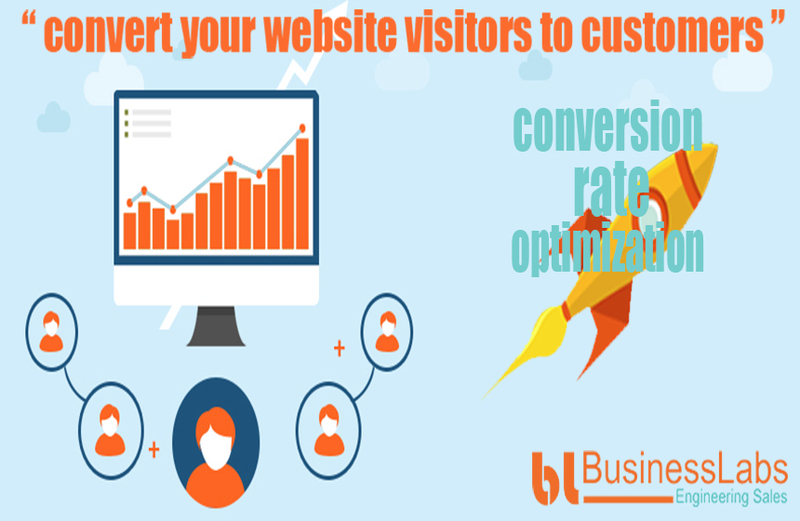 They can help you optimize your website to increase conversion rates. We have a successful history doing this for our clients who keep coming back to us to make most out of their websites. Bookmark this page so that when you start implementing these tips on your site you can refer to this post. May we ask you for a simpler deed? Leave us a comment on what optimization tips do you follow to help your website succeed. Or, if you think there’s something we have missed, please drop us a message and let us know. Moreover, if you consider this a great post share this with your friends and colleagues.